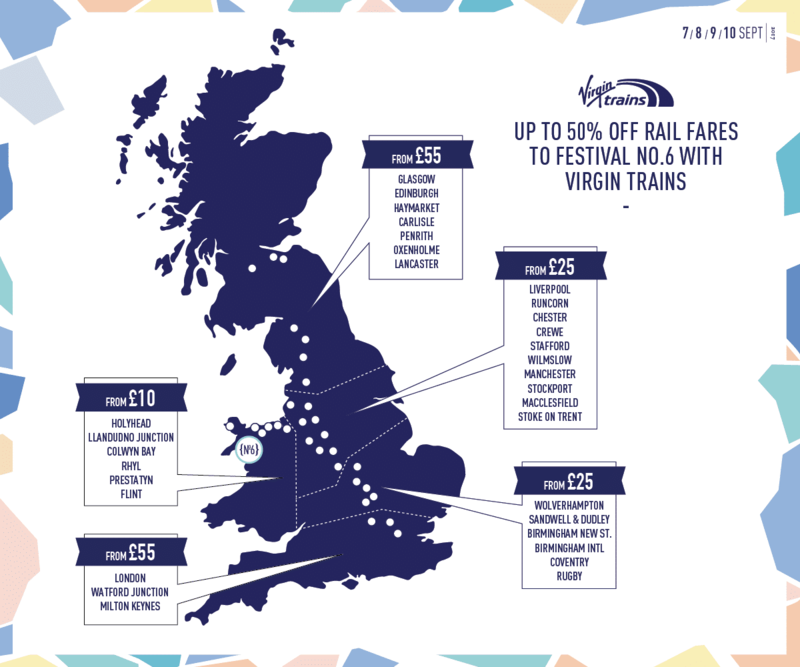 We are delighted to announce that Virgin Trains are back on board as the Official Travel Partner of Festival No.6 for a fourth year. No.6 guests are able to take advantage of up to 50% off train travel to Bangor from across the UK, for a limited time only, before the general sale starts. Add The No.6 Express to your booking today.